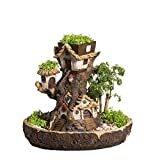 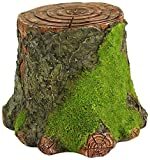 This Spring, forget planting in some boring old terra cotta pot and check out this cool new Fairy Garden Tree Stump Planter instead. 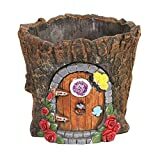 This charming hand-cast stone planter is shaped like a tree stump that comes complete with a little door and window on the side. 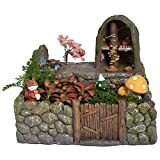 Will magical fairies and/or well-traveled gnomes decide to actually take up residence? 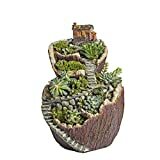 Plant something on top and place it in your garden to find out.